﻿ If The Bronx had have stopped after their first three albums, many would have considered that a perfect career. Their first three self-titled efforts represented the pinnacle of 21st Century punk and everything it had to offer – scrappy, snotty and utterly furious. Perhaps that’s why their 2013 album (also self-titled, of course) was such a curveball, largely resting on garage-punk and rock ‘n’ roll to get their point across, a decision that proved quite divisive among those who’d stuck with band through the long term. It was definitely a move that made sense though, showing a band growing older and tinkering their sound accordingly, though with the fire in their bellies evidently still burning. The strange thing is though, perhaps if V had have come between their third and fourth efforts, that last album might not have been viewed so harshly, as this feels like a much more natural conduit between such a stylistic shift. That rock ‘n’ roll core is still there, but with Night Drop At The Glue Factory and Stranger Danger picking up the pace and piling on the distortion to the point where the fuzz around Matt Caughthran’s vocals rams through an already lo-fi mix, V sees a welcome return to the spontaneity and firepower that made The Bronx such a force. Above all, this is an album from a band who are clearly enjoying the ride at this point, not hitting the supremes highs they’ve scaled in the past, but doing what they want to do and succeeding in spectacular fashion. But with that being said, it’s still possible to see why especially longtime fans may be left cold by V. It’s a much more ragged listen than some of their previous works with the sharp edges replaced by layers of fuzz, and as such, it pulls from a very different era of punk that gels easier with this sort of production style; a track like Past Away feels heavily indebted to the proto-punk and early garage-punk that remains a natural bedfellow to scuzzy rock ‘n’ roll, and Channel Islands and Two Birds (two tracks which, to hazard a guess, would be where the debates on whether The Bronx have taken this sort of thing too far would hinge on) are more like beaten-up indie-rock than anything else. It’s certainly trying and a little jarring to see the band so adamantly go down this path, but again, in representing a band whose music is growing along with them, and who sound as though they want to avoid becoming jaded more than anything else in the world, V is the sort of album that pulls that off. There’s a sense of playfulness in Caughthran’s vocals on a track like Cordless Kids (fitting for how reminiscent of The Hives that track is), and there’s a sense of snappy comedic timing to the near-constant musings on death that drag an underlying darkness into view almost singlehandedly. 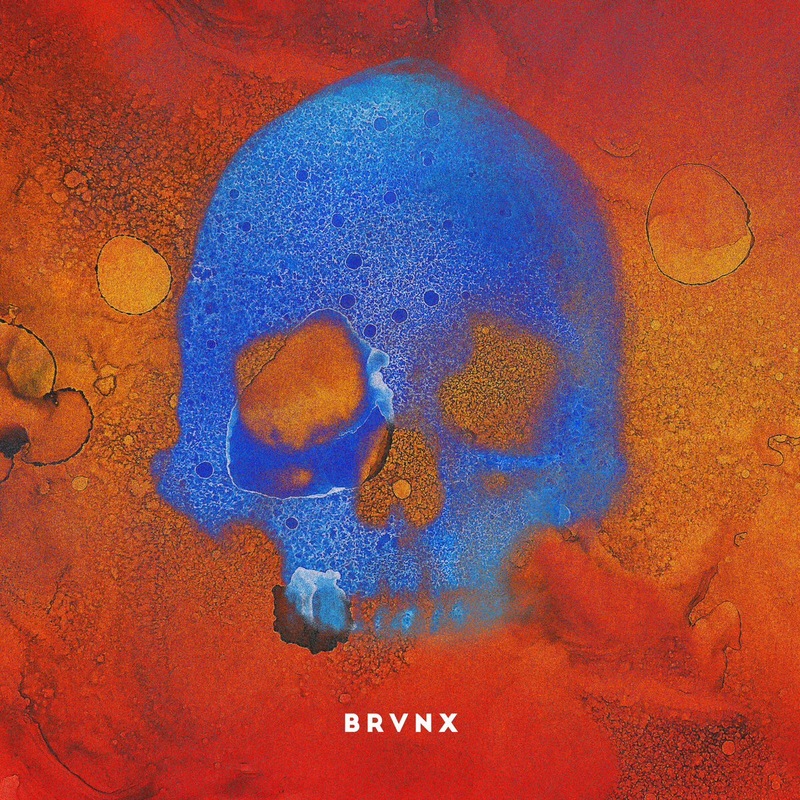 It’s more a case of The Bronx fitting in their snark on a subtextual level than putting it out in the open, but even then it’s difficult to say that it doesn’t work fantastically well, and for the throwback that V is, it brings a new dimension to what The Bronx have previously put their name to. And even if V proves to be one of the more divisive efforts in The Bronx’s catalogue, the fact that they’re playing to their own beat and not rehashing the same sounds and ideas need to be credited. The fact that they can do it while still pulling out killer songs that take a completely different approach to breathlessness, yet still feel as vital and exuberant as ever is proof of how much of well-oiled machine this band is. Even to the point where this can be seen as an unashamed throwback to early ’70s punk, it’s not dated or forced; if anything, to capture the sense of danger and firebrand explosiveness that those bands embodied, who’s a better choice than The Bronx? ‘V’ by The Bronx is released on 22nd September on Cooking Vinyl / ATO Records.